Stig Strömholm, former headmaster of the University at Uppsala. The investigative work of the Commission itself or its quality or reliability should not be analysed - the government ordered. The writer tried to contact all the above and sent them by letter 1997-1998 most of the information in this book - no reply. Silence. Of course. After a review of the various authorities work after the accident the Group of Analysis recommended in November 1998 that the dead bodies should be salvaged. Of course. It seems that the Group of Analysis limited its review as shown in its first report (25) only to the salvage of bodies. Another very important question was what the authorities had done or not done to, e.g. improve the safety at sea after the accident, but the report (25) is silent. This writer had made a full presentation by letter on 31 October 1997 to Peter Örn, chairman of the group, about safety at sea, where most of the observations in this book were given including the impossible statements about the stability with water in the superstructure. The members had, as already stated, been given the same information by letter - nobody acknowledged the information. Of course. All of them were, of course, aware of the fact that the official investigation was a scam. But the Red Cross chairman, the peace worker, the top journalist, the Royal chaplain and the university headmaster said nothing. In Sweden this is normal. Of course, you cannot expect a Royal chaplain to be an expert of ship stability, but you would expect that he can read a polite letter ... and reply. The Group of Analysis therefore never reviewed the work about safety at sea of the authorities after the accident. When the writer presented his book (1) 'Lies and Truths about the M/V Estonia Accident' at a meeting arranged by the Swedish daily FinansTidningen at Stockholm in February 1998, the Group of Analysis (or its secretary Hanna Bogren) was present. The writer later met the civil servants assisting the Group of Analysis and pointed out that safety at sea matters should be reviewed by them. Safety at sea had nothing to do with the work of the Commission to investigate the accident but the fact that the officials lied about it should be considered. The Group of Analysis should have reviewed the work of the Swedish NMA 1.37, the SHK 1.38 and the ministry of transport/communications 1.39. It is clear evidence that the Group of Analysis, the Royal chaplain and the peace worker, etc., knew that the course of events of the Commission was falsified - and it was maybe therefore that the Group of Analysis asked the government not to review the work of the Commission. "Doubts (sic) have been raised about the cause of the accident given by the Commission ... The explanations of the Commission in the Final Report are questioned ... the matter is discussed in the media (sic). The explicit limitations of the tasks of this group have been interpreted in such a way that this group shall not carry out its own examinations of the sequence of events (of the accident). The group has not examined the trustworthiness of different analysis and theories, as it was not part of the directives. The group of analysis can only point out for the government that the discussion what caused the 'Estonia' accident is still on (November 1998)." "Also the frequent (sic) discussions about the cause and responsibility of the accident generate uncertainty, which does not only affect the Swedish society (April 1999)." "The uncertainty around the 'Estonia' has created a continuous and sometimes worsened condition among many relatives (of victims), which can be defined as a secondary trauma. To this secondary trauma belongs the uncertainty about the cause and the responsibility of the accident." But is spite of the above, e.g. 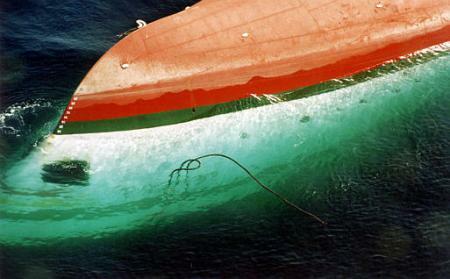 this secondary trauma - the uncertainty about the cause and the responsibility of the accident - the Analysis group never recommended that new facts should be investigated or that the work of safety at sea at various authorities should be improved by, e.g. a correct investigation of the accident. The Group of Analysis was simply protecting the Swedish government and its incompetent investigators and the conspirators in their efforts to cover up the true facts of the accident. And all members of the Group were given good jobs by the government!